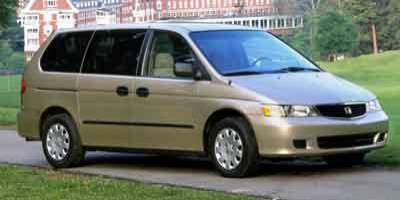 Debuting in 1995, the Honda Odyssey satisfied the minivan-craving families of the 1990s. Four-wheel disc brakes, dual airbags, dual-zone climate control as well as unique ergonomic touches like a dual glovebox made the new minivan immediately popular. 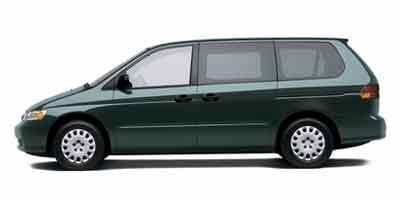 Unlike the other leading minivans from Chrysler and Ford, the 1995 Honda Odysseys rear passenger entry was achieved with hinged doors rather than a sliding door. 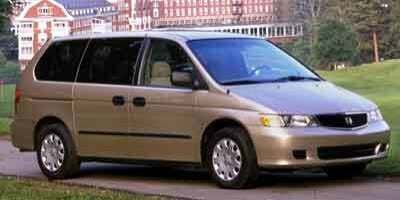 Able to accommodate up to seven passengers, the 1998 model year Odyssey was powered by a 2.3-liter four-cylinder engine generating 150 horsepower and 152 pound-feet of torque. 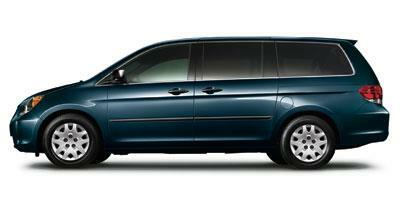 For 2000, the Honda Odyssey underwent a massive redevelopment to refine the minivan. Appearing more mature, the 2000 model year Odyssey added 13.6 inches to its overall length and dropped the hinged rear doors in favor of minivan-style dual sliding doors. Dropping the four-cylinder engine, the 2000 model year of the minivan received a 3.5-liter V-6 power unit. Generating 210 horsepower for 2000, the Honda Odysseys engine output was increased to 240 for the following model year. The interior of the new-generation Odyssey minivan would feature several clever storage solutions. Nine beverage holders, a retractable center tray table and a special coin holder were available inside the Honda Odyssey. 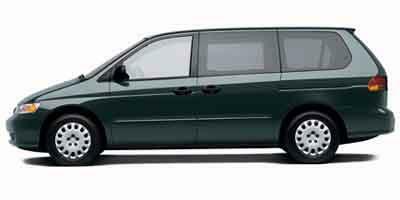 Honda buyers of the 2000 model year minivan were also offered the option of a navigation system at a time the technology was still considered exotic. 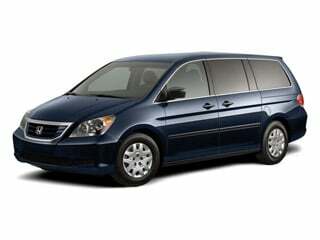 The Odyssey underwent another major design change for the 2005 model year featuring the integration of the ACE (Advanced Compatibility Engineering) body structure for added occupant protection. The 2005 Odyssey also presented the introduction of Variable Cylinder Management to higher-trimmed models. A fourth-generation redesign of the Honda Odyssey in 2011 featured a wider appearance and power from an engine producing 248 horsepower. For 2014, all models of the Odyssey came standard equipped with a six-speed automatic transmission. In addition, innovative built-in vacuum cleaner was introduced in the Touring Elite version of minivan. 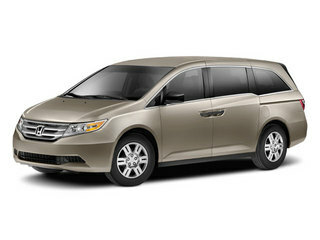 Honda’s best-selling Odyssey minivan gives buyers an exceptional value. Minivans may come and go, but the Honda Odyssey has proven its collective staying power. 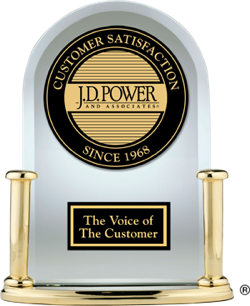 Namely due to its unrivaled design and signature reliability. 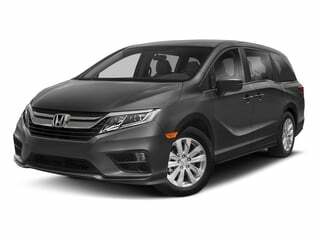 Built for reliability and comfort, the Honda Odyssey offers both with a spacious and roomy interior and plenty of amenities. 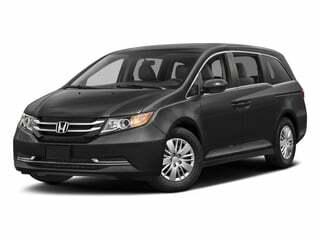 A prime family hauler, the 2014 Honda Odyssey is a FWD mini-van that offers a safe ride, comfortable interior, and room for seven passengers. Now standard with hands-free phone capabilities, USB Audio, and rearview camera the 2013 Honda Odyssey is a FWD mini-van with seating for seven. 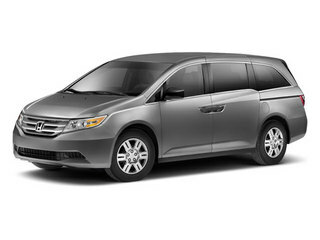 A FWD mini-van with seating for seven, the 2012 Honda Odyssey comes equipped with blind spot detection, rearview camera, and navigation with voice recognition. 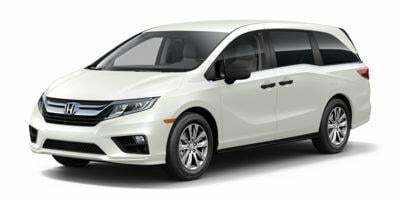 The refreshed and rethought 2011 Honda Odyssey minivan advances on the predecessor vehicle by providing better technological and convenience features. A reliable minivan with seating for up to eight passengers, the 2010 Honda Odyssey is loaded with top-notch safety features as part of the standard equipment including traction control. A minivan with four doors and seating for up to eight passengers, the 2009 Honda Odyssey is reliable and comfortable and has great safety features. Wearing a new grille, the 2008 Honda Odyssey minivan is available in four trims with the two top tier trims utilizing an updated V6 featuring variable cylinder management for increased fuel economy. 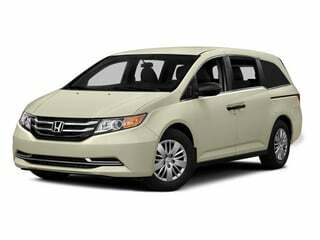 The 2007 Honda Odyssey is an eight-passenger minivan powered by a 3.5L V6, and it is available with navigation and a DVD entertainment system. A stylish and reliable minivan, the 2006 Honda Odyssey offers seating for eight passengers and is available with a DVD entertainment system to keep those other seven people entertained. The 2005 Honda Odyssey is a mid-size minivan that can seat up to eight passengers and is available with navigation and a DVD entertainment system. The 2004 Honda Odyssey is a seven-passenger minivan available with a navigation system and a DVD entertainment system as well as a 25 mpg highway fuel-economy rating. A well-equipped seven-passenger minivan, the 2003 Honda Odyssey boasts a 240 hp 3.5L V6 engine to help haul people and cargo. A reliable minivan with seating for up to seven, the 2002 Honda Odyssey is equipped with a smooth and powerful 240 hp 3.5L V6 engine. A minivan with room for seven, the 2001 Honda Odyssey is equipped with a 210 hp 3.5L V6 to make hauling a full load of occupants a breeze. The 2000 Honda Odyssey is a seven-passenger minivan that comes well-equipped and boasts a 205 hp 3.5L V6 engine under the hood.